Team PokerStars Pros Bertrand “ElkY” Grospellier and Marcin Horecki both hosted special freerolls online at PokerStars, with the winner each getting the chance to attend the finest poker event in the Czech Republic with a full package for their live poker debut. The fun did not end there; the qualifiers had the opportunity to meet with Team Pro for poker training, tips and mentoring throughout the tournament as well as the opportunity to snap some photos with them too. Mongolian Damdin Enkhtuya had never attended a live event before and saw the freeroll as an opportunity to play with some of the world’s best poker players. The business owner met with ElkY to take photos and discuss tournament tips, as well as their shared passion for poker. 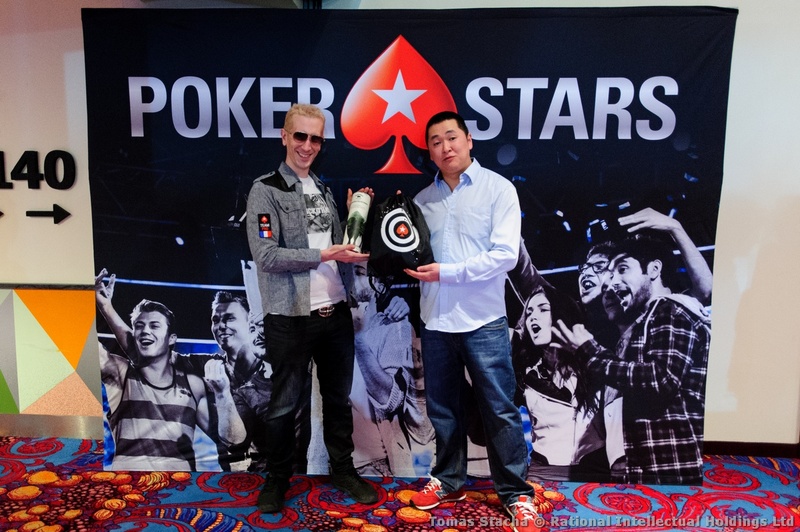 The 31-year-old thanked ElkY for the special opportunity with a bottle of Polish vodka and in return ElkY gave Enkhtuya a bag full of PokerStars memorabilia to remember his first live event by. Enkhtuya enjoyed his experience so much that he jumped into another satellite to have another attempt at the Main Event. Twenty-year-old university student Krystian Michalski entered Marcin Horecki’s freeroll online at PokerStars after seeing the opportunity on Facebook. Michalski, an online poker player of two years, has never played live, never mind in a major live tournament. Horecki sat down for a poker training session with Michalski, who claims to have a skill for calling bluffs. 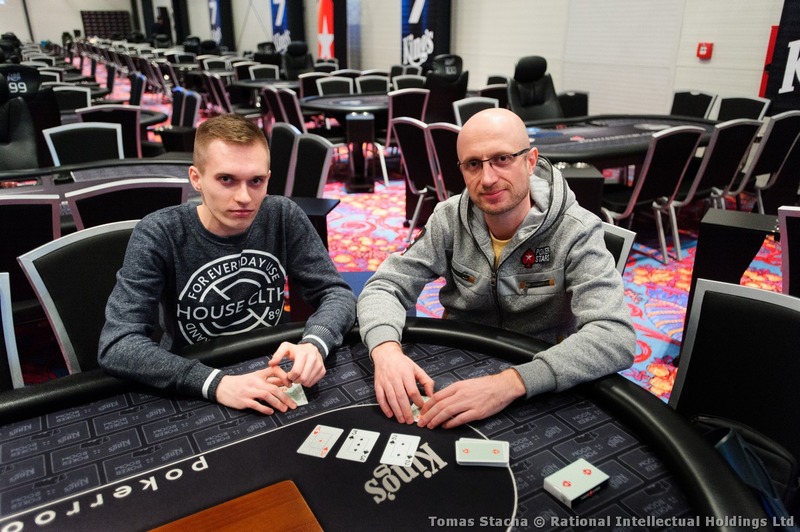 Horecki visited Michalski at the table to offer some extra encouragement which paid off; he finished 151st in the Main Event, bringing home his first ever live event cash of €1,852. The Polish student plans to continue playing online satellites to hopefully secure another package for a PokerStars live event in the near future. Both online players have now tested their poker faces and thoroughly enjoyed the atmosphere of live events. They both aim to qualify for future PokerStars Championship and PokerStars Festival events to develop their live poker skills further. After PokerStars Championship Panama, which is currently in full swing, the next Championship tour stops in Macau (March 30 – April 9), before PokerStars returns to Monte Carlo for its first Championship along the iconic French Riviera. Players can satellite into the PokerStars Championship Macau Main Event and the National Championship, for as little as $1.10 online at PokerStars until March 26. Players can also satellite into the PokerStars Championship presented by Monte-Carlo Casino Main Event and the National Championship until April 23 from $2.20. In addition, players have the opportunity to turn €10 into a PokerStars Championship Monte Carlo package worth over €8,500 by playing fast-paced, special edition Spin & Go tournaments on PokerStars until April 10.